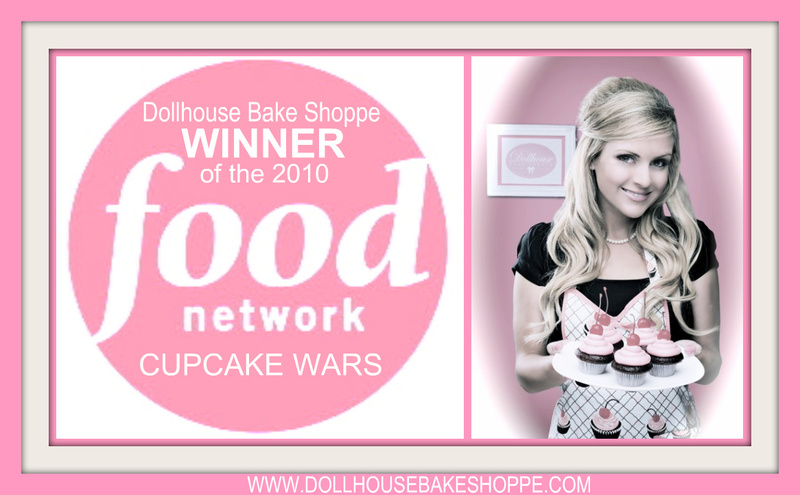 As many of you know, after a nationwide search for the country's top bakers, I was chosen to compete on the season 1 series premiere of the Food Network show "Cupcake Wars", in June 2010. And guess what? I WON! And, I was chosen to come back and compete for the title of "best of the best" on a special Cupcake Wars Champions episode, in season 2 ! 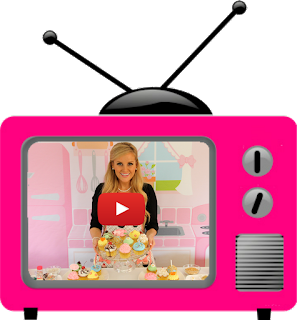 If you missed it, watch me WIN the series premiere episode of Cupcake Wars! 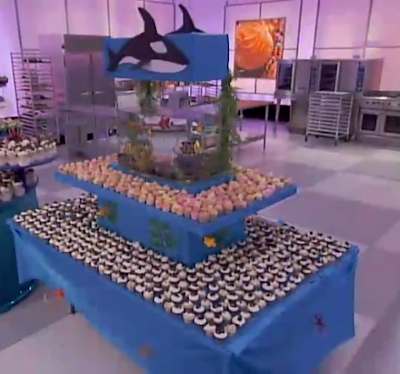 Cupcake Wars: Series Premiere Highlights ("Seaworld Birthday Bash" Season 1 episode 2)! Cupcake Wars: Battle of the Champions Highlights ("Rose Parade" Season 2 Episode 6)! 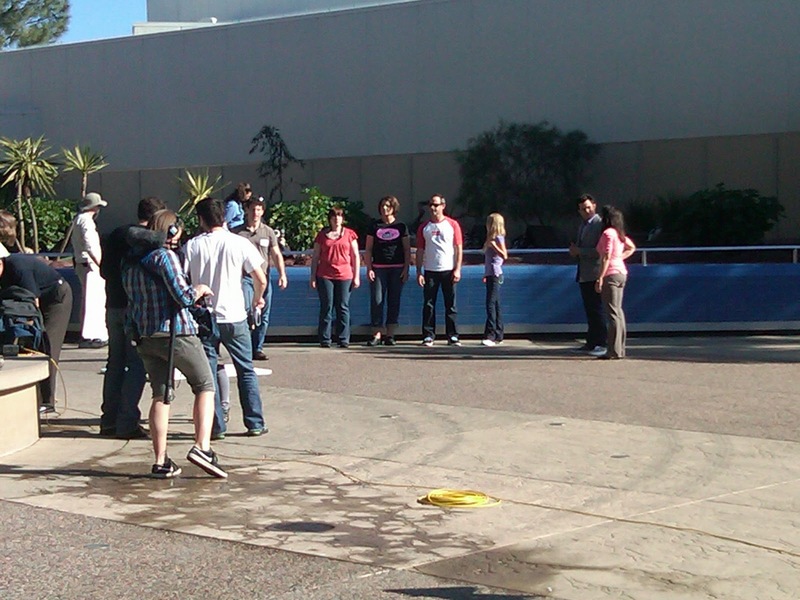 This was my first Food Network appearance, and the first time seeing myself on television... it is sooo surreal! The whole process was so exciting/nerve racking/exhausting, but so incredibly worth it! ... then after I waited for what seemed like an eternity, I got THE call... 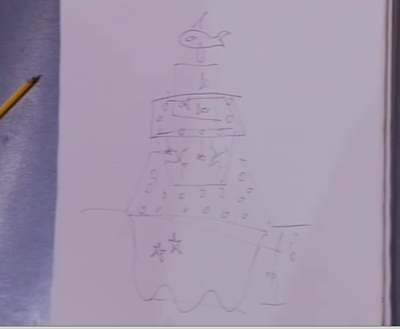 They told me I was chosen to compete on CUPCAKE WARS! Me and my assistant, Jordan, and I right before "the war"... so nervous! 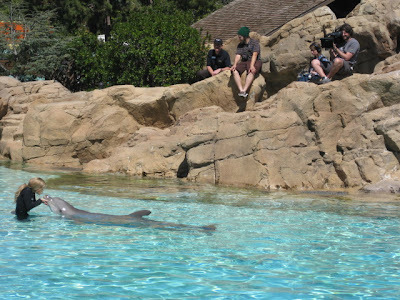 The theme of the episode was a "Seaworld Birthday Bash", so to get inspiration for our challenge, we were taken to Seaworld San Diego right before the "battle" began. 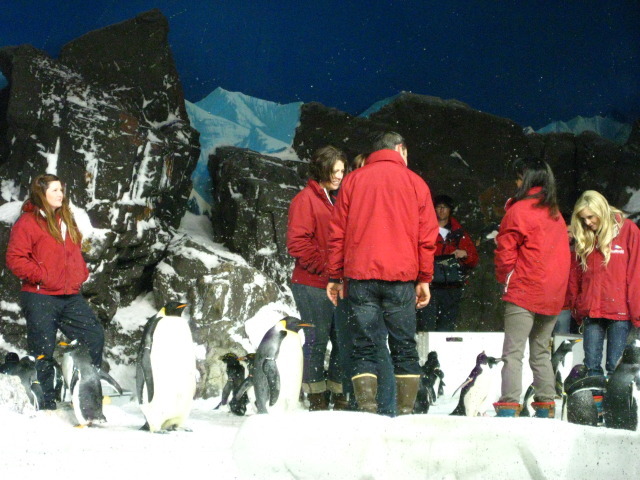 I got to swim with dolphins, pet penguins, and get up close with baby seals... It was the most incredible experience of my life! 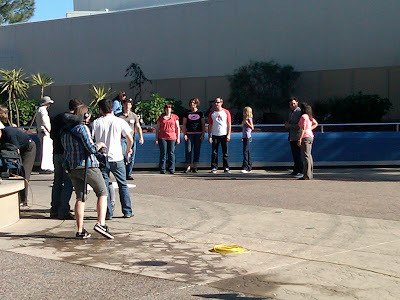 See me on the far right!? Round 1 was the "Taste Challenge" and the secret ingredients we had to incorporate into our cupcakes were... SEAWEED AND SEA SALT! The first thing that came to my mind when I heard the salty ingredients, was to contrast them with some sweet. I added toasted sesame seeds and tahini (a ground sesame paste), along with flakes of dried seaweed and a sprinkling of sea salt to my basic vanilla cupcake batter to create a nutty, salty cupcake. I then topped it with a sweet honey cream cheese frosting... the nutty sesame cupcake paired with the perfect, sweet honey cream cheese frosting made the cupcakes taste like one of those sesame honey candies. They were sooo good! You couldn't even taste the seaweed, it simply gave a nice salty bite to the sweet nutty cupcakes, instead of the fishy flavor I was dreading. I replicated the cupcake when I got home for my friends and family to try, and it is officially my mom's new, all time favorite cupcake! Skip the seaweed and you have a fabulous sesame honey cupcake! Here is my assistant Jordan and I getting started on the round 1 cupcakes. See the judges deliberating in the background?! My seaweed cupcakes right out of the oven, rushing back to the station to let them cool! Round 2 was 50% based on taste, and 50% based on presentation. We had to come up with 3 additional cupcake flavors and must incorporate the colors: black & white into one of our cupcakes. I used the inspiration from our trip to Sea World to come up with the flavors and decorations in this round. Naturally I used that famous black&white color pattern to create little Orcha whales out of fondant to top my mocha fudge cupcake. I made a churro cupcake to represent my favorite Seaworld treat, decorated with graham cracker "sand", edible pearls and starfish. And lastly, sticking with the Seaworld theme, I also made a pina colada cupcake to capture the tropical feeling of Seaworld, decorated to look like an underwater coral reef. Working on my fondant whale decorations. Getting the cupcakes on the judging plates with only a few seconds to spare! The judges loved my cupcakes and I made it to round 3, where I had to bake 1,000 cupcakes and created the winning display! A rough sketch of my display idea. Frantically putting all the cupcakes on my display with only a few minutes left on the clock! My finished 1,000 cupcakes & display up for judging! The judges loved my cupcakes and display and I took home first place in the series premiere episode!